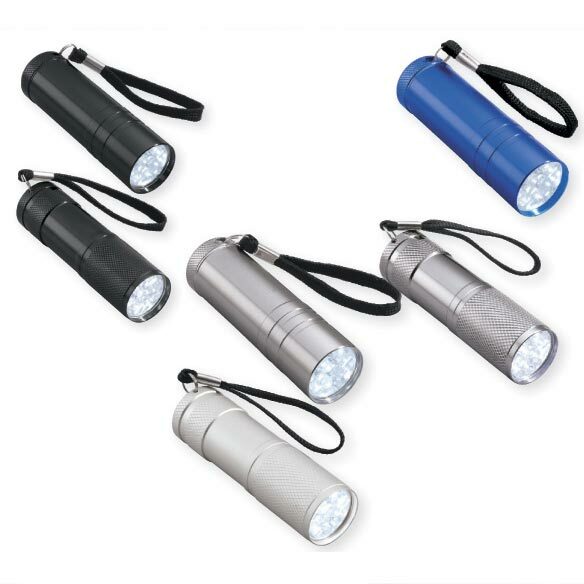 Push-button LED flashlight set includes 6 flashlights, each with nine super-bright LED bulbs. Ensures you’ll always have a flashlight handy. 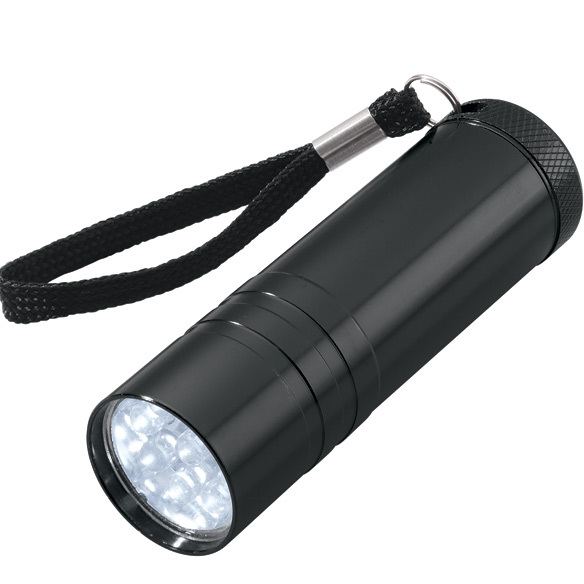 Mini LED flashlights include three each of easy-grip and sleek designs. Assorted colors; we’ll choose for you. Each measures 3 1/2" L x 1" dia. and uses 3 AAA batteries, included. I have this in my pocket at all times in case of outage. I USE THIS PRODUCT WHERE EVER THERE IS A DARK AREA IN THE HOUSE. I NEVER CAN SEE IN THE BACK OF A CLOSET OR KITCHEN CABINET. I USE IT BEDSIDE AND IN MY CAR. THEY ARE SO SMALL, THEY FIT ANYWHERE. IF THE POWER GOES OUT, YOU'RE ALL SET. Finally found a set of small flashlights that include a wrist lanyard. Very handy to be able to use the lanyard to avoid accidentally dropping the light, especially if using light on steps. I like to keep these handy to see in dark places or for power outages. Carry one in my jacket pocket all the time. My mother and I both need really powerful flashlights, so we agreed to share this order! I love these flashlights! They are so bright! It is really useful for elderly people or to take with you in the car! I bought two sets! I need flashlights to see better. Seems like a good price for 6 flashlights and the batteries are included. I live in a big house and I want to keep one in each room I go to at night. These a great for carrying in a purse or backpack. I also give one to each of my very young grandkids to put under their pillow at night for when they have a nightmare or are afraid of the dark when sleeping in a new place. very attractive price for six flashlights!!! A really convenient way to have light available at your finger tips. Need to kept them around the house! Need more; gave to kids. Handy in different parts of house. This set will allow me to keep good flashlights all over my home & car. Small enough for purse & car. I have some of these, very handy. They are brighter and they last longer. Stocking stuffers, you can always use these in an emergency, fits anywhere. I am always looking for a flashlight. I travel a lot and these are small enough to fit in suitcases easily and into a purse, easily. I don't have to worry about losing one and they are impossible to find in a store. We had some power outages this winter. We needed additional emergency lighting on hand.